Nothing tastes quite as good as cupcake. Unless it happens to be a cannabis infused banana caramel cupcake. The beauty of cannabis edibles is that they are so easy to make. The recipe is usually the same as the original, with the addition of some cannabis. 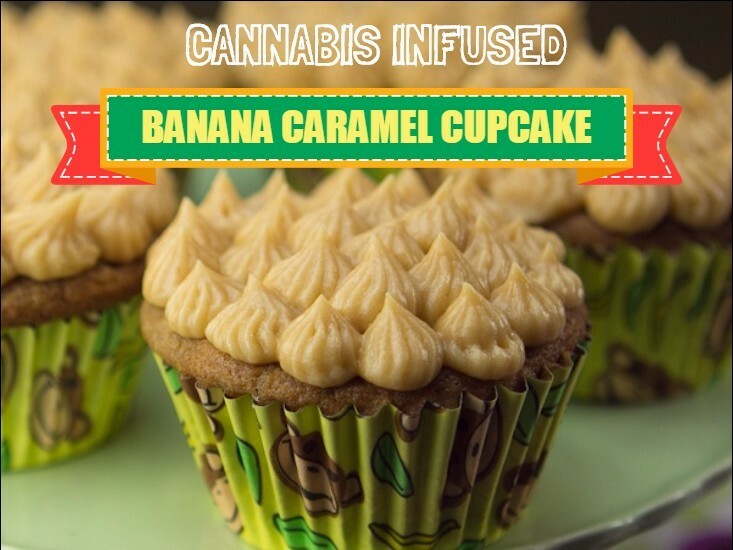 The following is an easy way to make cannabis infused banana caramel cupcakes. For added complexity you can add some icing. When you are not going to be using cannabis butter or medicated oil, the first step is always going to be to decarboxylate your marijuana. This is a very simple procedure. Simply heat the oven to 250 degrees Fahrenheit and let the marijuana cook for 20 minutes. Your marijuana is now decarboxylated and leaves you with active THC with all its associated benefits. The next step is to preheat the oven to 350 degrees Fahrenheit. In a bowl combine the flour, baking powder, baking soda, salt and decarboxylated marijuana. Stir this well and set it aside for the moment. Use the electric mixer to beat the butter and brown sugar. Add eggs, cream, banana and vanilla until well combined. Fill the muffin pan with the mixture about ¾ full and bake for about 25 minutes. Allow them to cool for 5 minutes in the pan before removing them. After a further 15 minutes, you can either eat the muffins or store them in a freezer. After freezing, let the cannabis infused banana caramel cupcakes thaw for 15 minutes or so before serving.